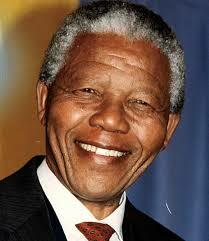 Living in South Africa, we have all recently joined with the world in saying farewell to the great Nelson Mandela. Few people have ever impacted the South African nation like he has, and certainly it could be argued, none has made a greater contribution to peace. Every news board, blog and social media blog, post or tweet has a reference to “Madiba” as he has been known affectionately in South Africa. Most of these messages of condolence has also been accompanied by R.I.P. A day or two before Nelson Mandela died, Paul Walker died (Fast and Furious fame). A day or two after Madiba passed away, a famous South African world champion boxer “Baby Jake”died. They too were sent many messages saying RIP. So what is this Rest in Peace all about? What does it really mean? And as believers in Christ how does this affect us? Well all I can do is say how it affected me this last week. Now first of all let me make it clear that my piece below is about the principle of saying R.I.P. It is not a comment or a judgement on either Nelson Mandela, Paul Walker or Baby Jake. It is about what people mean by rest in peace and what the Bible teaches. I just know that as I read all these messages. While my child was a live I prayed and asked God to save him. But now that he is dead, what can I do? David understands that the time for calling on God is “in the living years” as Mike and the Mechanics would say. And that is our lesson too. If you want someone you love to “rest in peace”, make sure they know God before they die. Otherwise it may make you feel better, but the Bible points to a horrible reality for those who die without a saving knowledge of Jesus. Jesus told the Pharisees that they knew how to read the weather signs from the sky, but that they were clueless in spiritual discernment – “recognising the sign of the times”. In the natural we all discern the weather, and the seasons, but in the spiritual, we often don’t. The thing is we are not just flesh and bone. We are spirit too. In fact the spirit part of us is more real than the flesh. The flesh will return to dust, but our spirit lives on forever. What is the season you are in? After the flood, God said this. You cannot have summer all the time. Do you know why? Because if you only have summer you end up with a desert. It is often when we go through the hard times, the winter seasons, where fruit is scarce that we appreciate the good times when they come. Sadly, often all too soon, we think the good times will never end, but no-one is on the top of the mountain all the time. No-one enjoys summer all the time. Summer – is the time when there is abundance, the sun is shining, almost everything is going well, you just know you are blessed. This is the time when there are no major crises in your life. The days are at their longest, and they are flooded with light. Everything springs to life. God speaks and His presence is evident in your life and in your business and in your church. Autumn – is when you realise things that were going so well for a long time are not quite as good as they were, there are times of stress creeping in. Maybe spiritually speaking, after a time when you really walked close to God, perhaps now you just sense you are not reading the Word as often as before, not seeking God’s presence. Things which were once vibrant and alive now seem to be wilting. Things that used to run smoothly no longer run smoothly. Winter – is the time when almost everything is a struggle. Things are going wrong, blessings seem a life time away, you are spiritually battling, spiritually cold. You know God cares but you just don’t see the evidence in your circumstances. It is the season with the most darkness, the least amount of light. You seem to be spiritually blind, there are walls up around you everywhere, stopping the blessings, stopping growth. This is the time when we are at our weakest. But God has called us out of darkness into His glorious light. Before we came to know Christ, we are spiritually dead, the Bible says we are blind, we walk in darkness. Winter is the “season of spiritual discomfort, hunger, misery and emptiness” of our life. But the Light of the world came to bring us the True Light. And it is our misery and struggles which eventually bring us to repentance. When you are in winter, it is a time to reflect and to understand what it is God is teaching you. Spring – is the time when after a long hard winter, there are just signs that things are changing. There are signs of life, the days are getting warmer. Perhaps God is starting to warm your heart a little. The leaves are starting to come out, the days are getting warmer. Suddenly God is starting to speak to you again, and there is a spark of revival in your heart. The pain of winter is starting to fade, and it is time to start preparing for the growth that is coming. There is great hope for the months ahead. You will need to soon care for and nurture those things that used to be weak as they unfold into strength. You will know the joy of discovery and the excitement of new treasures previously unknown. In this time the promises of God become real. The first signs of life are a portent of things to come. It is a time to start getting excited, for summer and a harvest lies ahead. If you experience the joy of walking closely with Jesus your savior, you will know something about God’s timing. The secret to success is often not so much what you do, but when you do it – in other words, doing the right thing at the right time. With God, timing can be everything! One business can open and seem to do everything right,and fail, and yet another that seems to do the same thing using the same formula and it flourishes. This is called timing! “He has made everything beautiful in its time” (Ecc 3:11). In the book of Esther, one of the most powerful themes is “for such a time as this”. Many prayers are prayed with faith, and with expectation and yet God seems to say No. It has been said that God answers every prayer with either a Yes, a No or a Not yet. It is all about Timing. The Bible tells us in James, that God is a Father who gives us good gifts. He is indeed a father full of love towards his children. In fact God IS love! Christ died for us while we hated him and were sinners. But now we have been adopted into His family; we are joint heirs with Jesus, heirs of all the Father has in heaven and on earth. Some people however are trapped in a world of lethargy – in a state of inertia. They never get anything done, because they are always waiting for a better time or another day. Procrastination is their middle name! God expects us to be active, and doing good all the time, unless He tells us specifically to “be still” for a time or a season. Until such an instruction is received, we should be busy about His kingdom. “Teach us to number our days aright, that we may gain a heart of wisdom” (Ps 90:12). We don’t have forever – the days are short. We need to redeem the time. if you are guilty of procrastination, then this verse above should hopefully get you going. Then again, many others are guilty of always wanting to do it NOW. Jesus who is our greatest example understood that He had to wait for the right time before his time came. God Himself is aware of the importance of acting in the right time. The Bible says, “when the time had fully come, God sent his Son” (Gal 4:4). God did not send Jesus too early or too late. God sent Jesus just at the right time. Have you missed God’s timing? Maybe you gave up on your teenager too soon, or maybe you gave up on your marriage too soon. Maybe you rushed into a relationship, while you knew it was a bit premature. Fortunately God is God of all, including TIME. The Bible says that you can “redeem the time” (Ep 5:16). Redeem means to get back! God will let you recover some of the time that you have lost. This is really exciting! Even if you have missed your opportunities for success, you can repent and get back time from God. Pray and ask God to redeem the time for you. God is a God of second chances. Do not be afraid to plan, but before you act on your plan, submit it to God and ask Him to direct your steps. If your plan is not quite what God had in mind, He will show you as you go, sometimes really early on in the process. Of course this also requires listening to God and that means to be still and quiet before Him with the Word open and in a prayerful attitude. Ask God to open your spiritual eyes and ears and He will. God has made it easy for us to understand His timing. He made it simple to discover His time by giving us the seasons of life. Everything has seasons and there is a right time for everything. You see, to know the time for everything you need to understand that every activity has a season.Seasons are God’s clue to timing. What season are you in? Tomorrow I will share about the seasons. God bless you. This is how you should pray! Now I don’t know about you, but any time Jesus specifically says this is how you do something, then we need to pay really good attention! Jesus has already set the scene (see past 2 days entries), where he teaches us to find a private, quiet place alone and then to pray simple words (not fancy religious babble). First point is the prayer is addressed to the Father. And Our Father who is in heaven. At the start of the prayer, I am reminded that God is not only God (the Almighty creator of heaven and earth, who is worshiped 24×7 as the Holy One), but that he is my Father. Jesus taught us elsewhere to call God the Father “Abba” (daddy). So the prayer starts of by addressing our father (one who we know loves us as a father) who is in heaven. I am so encouraged when I think of Him being in heaven, where he is preparing a place for me. His name is to be adored “Hallowed be thy name”. Noe stop right there. Do you know what the kingdom of God is? It is firstly the central theme of the New Testament, but it means were God is in total control. When God created the heavens and the earth (Gen 1) he created everything that was good. This was the kingdom of God on earth. Everything followed God’s purpose and plan. When the kingdom of God comes, then God’s will happens. The Jewish people knew that when the kingdom of God comes, then fighting and war would end. Sorrow and sadness and sickness would come to an end. Thee would be no more anger and bitterness and gossip, and hating one another. When the kingdom of God comes, there will be no sickness. Wherever Jesus walked while he walked the earth, the kingdom of God manifested. If someone was sick, Jesus healed them. Miracles happened. The dead were raised to life, and blind eyes were opened. Those in captivity to leprosy and demonic power, were set free. In Revelation 21 we see a picture of how things will be when the kingdom of God comes fully. When Jesus was on earth, this is what followed him – the dead came back to life and the sick were healed. Jesus said at times that the “Kingdom of God is near” and at other times he said “the kingdom of God is here” and “the kingdom is within you”. I don’t want to get into the whole teaching on the Kingdom of God, but if you want a comprehensive study, check out books by Derek Morphew on the subject. The important thing to understand is what the kingdom of God looks like. And Jesus tells us to pray “thy kingdom come”. The exciting thing about praying this is that you can pray the kingdom to break through in your life and circumstances. This means that what you are really praying for is supernatural intervention and provision in your life. if you are sick and you pray “thy kingdom come” you are inviting God’s kingdom power into your world and that will transform and heal. If you are struggling financially, God’s kingdom power can break the power of debt and lack because there is no debt and no lack in His kingdom. So from no on when you pray this prayer, and you pray “thy kingdom come”, remember what you are asking God to do. You are inviting His kingdom to break out in your life and in your family and business and church, with God given power and abundance. And the best part of it all is that Jesus told us to pray this. He would never have told us to pray this unless it was possible (and likely) that God the Father will answer by sending his kingdom into our daily walk, as we ask it of him. Wow, I hope you are excited by that. I am! 5 “And when you pray, do not be like the hypocrites, for they love to pray standing in the synagogues and on the street corners to be seen by others. Truly I tell you, they have received their reward in full.6 But when you pray, go into your room, close the door and pray to your Father, who is unseen. Then your Father, who sees what is done in secret, will reward you. First of all Jesus tells his disciples where to pray. He says public prayer is fine, but the reward is being seen. However, powerful prayer is prayer that takes place away from other people, in the privacy of your room, or anywhere quiet and private. Why did Jesus say close the door? Because this will ensure that you purpose in your heart to get alone with God and pray. Intentional, private, secret prayer to the Father is rewarded! Jesus said the Father WILL REWARD YOU. Every time. Isn’t that amazing? I am sure you have not often thought of prayer this way, but Jesus is absolutely clear on this: pray in private to God your Father, and He will see it and hear it and He will reward you. Now the moment many people think about reward, they think money. I don’t believe this is what Jesus is referring to but remember that James tells us that God is the Father of Lights and he is the giver of all good gifts. The reward you get may be anything from peace, to assurance, to improved relationship, to deeper closeness with God – anything really. But Jesus says that when we pray like this , God the Father will give us a reward. I do’t know about you, But I find that special and amazing. Jesus teaches her that we can keep things really real and simple with God. There is no need to speak fancy, religious sounding words. Just keep it simple and real, for this is what the Father seeks. Now I have kept you waiting for two days before getting into the meat of the prayer, so please come and check tomorrow as you will not be disappointed. God bless you as you go now or later today to seek a quiet place to speak to Him, and remember to be real simple and honest with God. And after your prayer time, rejoice for He will reward you. How many times have yo recited the Lord’s prayer? I bet thousands and thousands of times. When I was young, we recited this every day at school before we sat down. I think of those days as “the good old days” because now all trace of “religion” has been removed from the schools in South Africa (and most likely wherever you live too). I see Christianity as a life lived with the God who made me – it’s a relationship (where we share life together) and not a religion (a set of rules and traditions to live by). Having been someone who recited the Lord’s prayer many times, and having subsequently grown into an adult and heard many sermons given on prayer and the Lord’s prayer, you may be surprised (as I was myself) to discover that the power I have always known must be in the prayer, IS INDEED THERE, but I never understood it. I have served the Lord in many churches (as an elder in a few over the last 25 year) and so you would expect I would have always had a really good deep understanding of the prayer. But I was shocked to discover recently that I knew it as a traditional prayer only. A traditional prayer gets recited at various times (sometimes the end of a church service) or at a funeral or a wedding. But then recently God showed me in my spirit what this prayer really is all about. This is the journey I wish to share with my readers. I hope you will be as blessed by this as I have been. I would love to hear your comments and maybe testimonies as you discover this amazing power with me. I believe you will be blessed, as I have been deeply, deeply blessed. I could even say that since discovering the deeper meaning of this prayer, my life has changed radically and for the better. I believe that blessing has a power to transform, and this has been discovered by the Jewish pople for many centuries. The Jews bless their children and pronounce blessing over family members at Shabat each Friday evening. In Numbers we read about the priestly blessing that God gave to Moses and Aaron. God told Aaron and his sons that this is the way to pronounce a blessing. The blessing is now an instruction to the priests and God says this is how you must bless. Only God can bless, but God says “those who bless you I will bless”. All of this is important because the blessings of Abraham are ours. In fact, under the New Covenant (a better covenant) we who know Christ as Saviour, have way more. Romans 4 v 16 Therefore, the promise comes by faith, so that it may be by grace and may be guaranteed to all Abraham’s offspring—not only to those who are of the law but also to those who have the faith of Abraham. He is the father of us all. 17 As it is written: “I have made you a father of many nations.” He is our father in the sight of God, in whom he believed—the God who gives life to the dead and calls into being things that were not. Psalm 32 Blessed is the one whose transgressions are forgiven, whose sins are covered. 2 Blessed is the one whose sin the Lord does not count against them. Through knowing Jesus, and through our adoption as sons and heirs to all that God has, we can walk in His blessing. Not through anything we have done, but through grace. Having understood, that God’s blessing is much more tan increase and fruitfulness,, we then see the next event that comes with God’s blessing. It is the story of Noah. But before Noah receives the blessing, sin brings a curse on the world. God curses Satan and the serpent has to now crawl on it’s belly. God says that man will now have to The world moves from being under God’s blessing to under the curse, and will have to wrk the land to get food. Whenever you walk in righteousness, the blessing of God will overflow you. Noah was fully righteous. In fact, he was blameless. Wow, wouldn’t it be great to be called blameless by God? In addition, he walked faithfully with God. Righteous, blameless and faithful! And when God had instructed Noah to build the ark (at a time the world had never seen rain or floods), the Bible says Noah obeyed God in every way. God then makes a covenant with every living creature on earth and he gives a sign to the earth that God will never again destroy the earth by flood. That sign was a rainbow. I found it interesting that God established the rainbow as a remembrance for God (Not for man). The rainbow will be a sign for who? For God to remember! V 2 “I will make you into a great nation, and I will bless you; I will make your name great, and you will be a blessing. 3 I will bless those who bless you, and whoever curses you I will curse; and all peoples on earth will be blessed through you. Gen 1v 28 God blessed them and said to them, “Be fruitful and increase in number; fill the earth and subdue it. Rule over the fish in the sea and the birds in the sky and over every living creature that moves on the ground. Notice there are three parts to the blessing that God spoke over Adam. God’s blessing at the very core is about fruitfulness and increase. That is what life is supposed to be – an ever increasing fruitfulness. Healthy things grow and increase. If something is not increasing it is not healthy We all understand this, in terms of how we understand blessing. Part of God’s blessing is the ability and right to subdue that which is beneath us. We must learn to subdue – but this is an action – our lives should be actively subduing. Subdue is a strong action. It means to overcome that which comes against you. God has blessed you and me with the gift and ability to subdue. We forget this often. Jesus through his death has set us up for victory. Ruling means to survey, study and then ensure we engage in every part of life to rule over it. Things we forget to rule over will not come under our governance. The blessing of God is so much more than just being fruitful and seeing increase. God has blessed us to be leaders, and to be subduers of evil, and subduers of circumstances that come against us.